Top 100 Best Restaurants for Outdoor Dining! Our spacious patio is designed specifically to provide you with a comfortable and easy dining experience allowing you to relax and unwind. 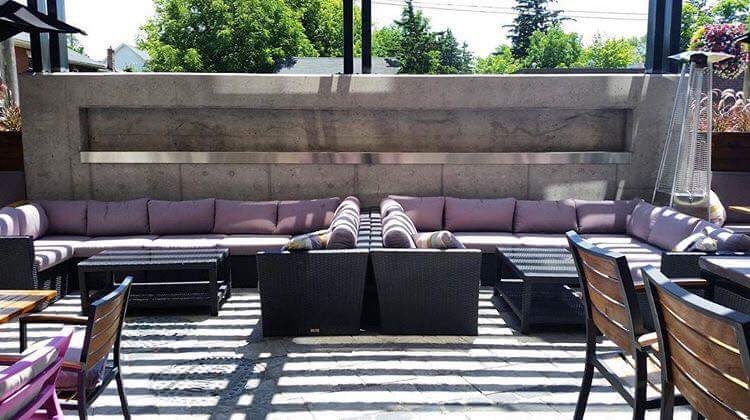 Whether you want to bring your friends over for Squad Night on Thursdays, join us for Hoppy Hour drinks after work on weekdays from 3:00 pm until close, or simply lounge and enjoy some delicious food, our patio is sure to provide you with the right atmosphere and vibe to do just that!